Originally aired on NRA News Cam & Co 9/09/14. 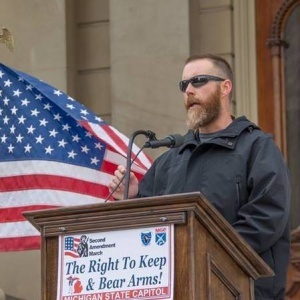 Erik “Trek” Utrecht is the owner and instructor for the Michigan Defensive Firearms Institute. He is also the creator of “Trek’s Trek: 2000 Miles for the Brian Terry Foundation,” a 2000 mile bicycle journey across America to raise awareness and support for the Brian Terry Foundation. The foundation was created following the death of Border Patrol Agent Brian Terry, killed with weapons associated with the Operation Fast and Furious gunwalking scandal. Utrecht talks about the journey that has already raised nearly $9000, and officially begins September 15. Donate to the ride.